Canon USA has issued a product advisory for the Canon 1D X Mark II. In a specific set of circumstances, certain SanDisk CFast 2.0 cards can cause corrupted images with the Canon 1D X Mark II. Why is No One Questioning Canon’s Responsibility? While Canon only says it is “considering” a firmware update, I suspect that we will see one sooner rather than later. 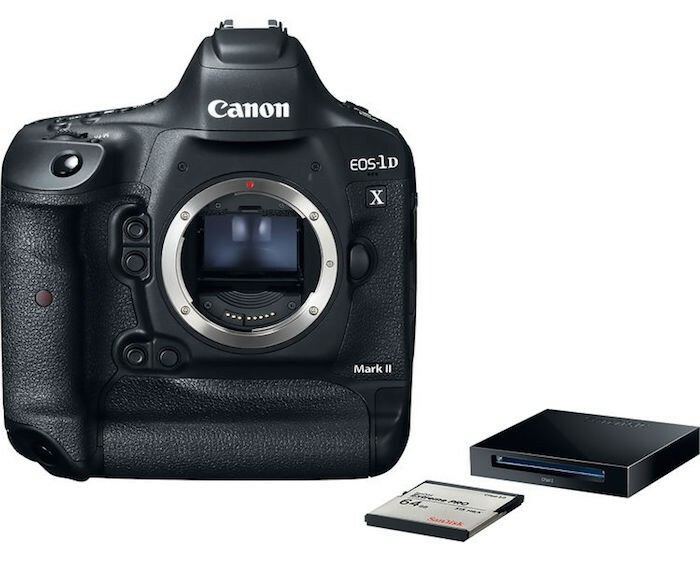 Canon has been pushing its package of the 1D X Mark II with a free SanDisk Extreme Pro CFast 2.0 64GB card since day one. In the current 1D X Mark II package on B&H, the included card is in the listed of affected cards provided by Canon. So, while Canon is trying to make clear that the SanDisk card is the problem, Canon is also partly to blame for the extent of affected users by pushing a defective card onto its users. I’ll be keeping tabs on a firmware update to correct this problem. In the mean time, you can contact Canon for additional support or questions via the methods listed below. That’s not good … good to hear they are taking action though!